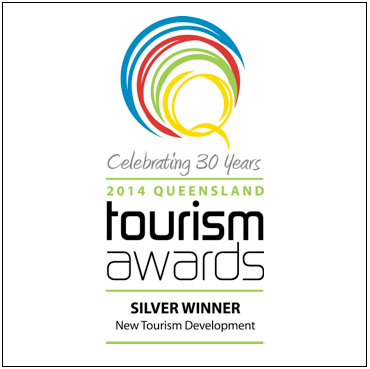 What an honour it was for Nightfall to be named the Silver winner for New Tourism Development at last Friday night’s Queensland Tourism Awards. The award is a benchmark for industry excellence – an accolade we’re very proud of, especially when we still only consider ourselves in ‘guinea-pig’ testing mode. Our thanks goes to the wonderful guests we’ve had these past few months, each of whom has contributed to helping us fine-tune Nightfall’s luxury camp experience.